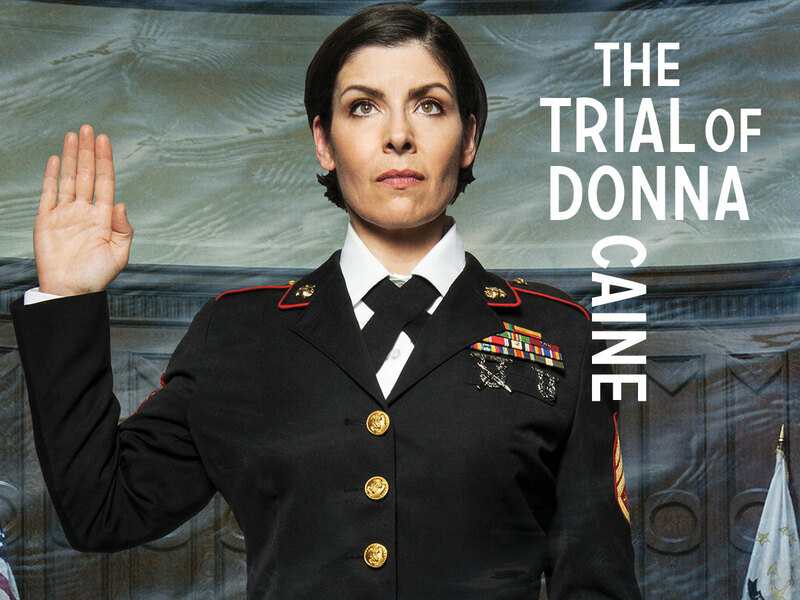 Penned by the former editor and CEO of Parade Magazine, THE TRIAL OF DONNA CAINE spotlights the national discussion on women’s role in the military. George Street Playhouse will launch its 2018-19 season with the world premiere of The Trial of Donna Caine, a gripping courtroom drama by Walter Anderson, who served as the editor-in-chief of Parade magazine for 20 years prior to being named Chairman and CEO of Parade Publications. When Marine Staff Sergeant Donna Caine (Perez) is accused of a serious crime, highly respected attorney Emily Zola Ginsberg (Levieva) is convinced to take the case. Fighting for her client’s future, Ginsberg finds herself taking on the military establishment in order to expose the truth. The Trial of Donna Caine is inspired by the real-life events surrounding the so-called “Ribbon Creek Incident,” a 1956 training mishap that resulted in the drowning deaths of six US Marine Corps recruits. In Anderson’s modern reimagining of these events, three of those recruits have been conceived of as women, in addition to the titular Staff Sergeant Donna Caine, who finds herself on trial for their deaths. The production will star Margarita Levieva (ABC’s Revenge and HBO’s The Deuce), alongside Flor De Liz Perez (Two River Theater’s Seven Homeless Mammoths Wander New England) making her Playhouse debut in the titular role of Staff Sgt. Donna Caine. They are joined by Playhouse alums two-time Tony Award nominee Peter Frechette (Broadway’s Our Country’s Good and Eastern Standard), Kally Duling (Broadway’s Fun Home), Julia Brothers (Broadway’s Relatively Speaking), and John Bolger (George Street Playhouse’s American Hero in 2018 and American Son in 2017). The cast is completed by Michael Cullen, Melissa Maxwell, and Ryan George. Under the leadership of Artistic Director David Saint since 1998, and Kelly Ryman -- Managing Director since 2013, the Playhouse produces groundbreaking new works, inspiring productions of the classics, and hit Broadway plays and musicals that speak to the heart and mind, with an unwavering commitment to producing new work. As New Brunswick’s first producing theatre, George Street Playhouse became the cornerstone of the City’s arts and cultural landscape. With its 45-year history of producing nationally renowned theatre, the Playhouse continues to fill a unique theatre and arts education role in the city, state and greater metropolitan region. The Playhouse has been well represented by numerous productions both on and off-Broadway, including the Outer Critics’ Circle Best Musical Award-winner The Toxic Avenger; the Outer Critics Circle, Drama Desk and Drama League nominated production of The Spitfire Grill; and the Broadway hit and Tony and Pulitzer Prize winning play Proof by David Auburn, which was developed at the Playhouse during the 1999 Next Stage Series of new plays. In 2015, It Shoulda Been You opened on Broadway and Joe DiPietro’s Clever Little Lies opened off-Broadway. Both shows received their premieres at the Playhouse. In 2018, George Street Playhouse was represented on Broadway with Gettin’ the Band Back Together which premiered on the Playhouse mainstage in 2013. In addition to the mainstage season, the Playhouse’s education department provides extensive programming for children, youth and adults. Partnering with administrators and educators throughout New Jersey, the Playhouse provides unique education experiences that both reinforce classroom curriculum and investigate issues such as bullying, diversity, immigration, health and wellness, and the rising epidemic of opioid addiction.